The Preschool, Elementary and Middle school programs are a total immersion French program, which means that all subjects are taught in French, however, English language, Singapore Math & Science, Composition, and American and English literature are taught by native speakers of English. Non-French-speaking children are normally admitted from the age of 3 through Kindergarten. Thereafter, French-speaking students or transfers from other French schools are accepted. Because younger children learn languages most easily, it is ideal to enroll early in the preschool and kindergarten years, so that the child can become confident with the language before 1st grade. It is not necessary for parents to speak French. Even though, our Native speaking Lead Teachers are comfortable speaking English and French. All official communications with parents can be prepared in both French and English and parent/teacher conferences are conducted in the language which is most comfortable for the parents. 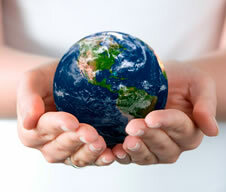 Our program is based on the French National Curriculum combined with key American building blocks. It offers students the best of both worlds. From the advanced French curriculum—taught in French—students become highly proficient critical thinkers by acquiring the rigorous writing skills and broad academic knowledge to succeed in many advanced preparatory high school programs in the US, or in case of a transfer in French speaking countries. From our strong American program—taught in English—students receive the academic preparation that is sought by the high school honor and pre-IB and IB programs, and later on, in American colleges and Universities. From multicultural exposure, students gain valuable social and communication skills, and become exceptionally open-minded. Taking into account the richness, diversity, and challenges of this dual-language system, students educated at Ecole Jean-Jacques Rousseau are well-prepared to meet—and often exceed—the demands of the best High Schools in the US and France. 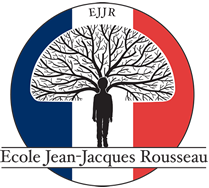 The French curriculum of Ecole Jean-Jacques Rousseau has been developed and elaborated by a Trilingual Educational Specialist, and an Executive Director of International schools, with more than 30 years’ experience and expertise in developing effective language immersion programs and in training teachers for an academic excellence. The objective of the Programs is not only to acquire full fluency in French, but also allow our students to reach their potential at an early age for an academic excellence while instilling a joy of learning, and producing self-motivated, confident and competent learners in later years. The French Educational system is famous for its curriculum – a course of study so rigorous that American colleges consider a student’s final year at a French high school to be the equivalent of post-secondary education in the United States. At Ecole Jean-Jacques Rousseau, students get the best of both cultures. The school curriculum parallels the academic program laid out by the French Ministry of National Education and used in French schools throughout the world. At EJJR, our curriculum is supplemented by the essential elements advanced in American private-school education. This dual approach produces academically-adept, bilingual students, proficient in both English and French, who can easily matriculate into either the French or the American educational systems. The blending of French and American educational traditions, in a small learning environment, distinguishes our school and creates students with an excellent academic background, and a deep understanding of both the European culture in which they are educated and the American culture into which they are integrated – a sound combination superior to either alternative. The objective of the program is not only to acquire full fluency in French, but also allow our students to reach their academic potential at an early age while instilling a joy of learning, and producing self-motivated, confident and competent learners in later years. Our goal is to train its students to become citizens of the world, well equipped both intellectually and socially for the challenges and opportunities of a life in an international milieu. 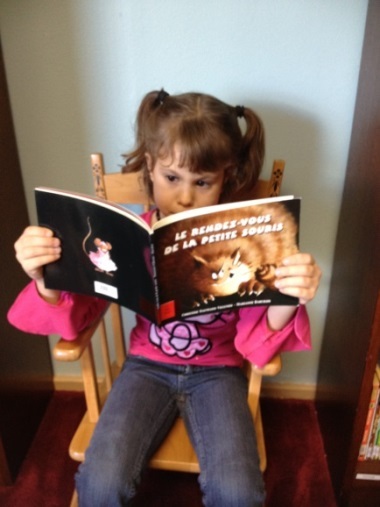 100% French immersion in preschool. French curriculum is supplemented by the essential elements advanced in American private-school education. 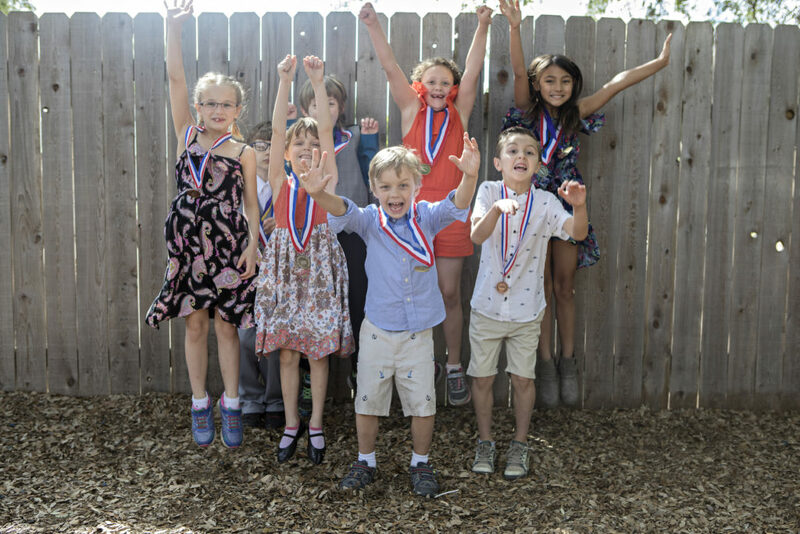 This dual approach produces academically-adept, bilingual students, proficient in both English and French, who can easily matriculate into either the French or the American educational systems. Active pedagogy fostering intrinsic motivation, self-direction, and the ability to learn how to learn following the philosophy of the Gardner Multiple Intelligence Theory. 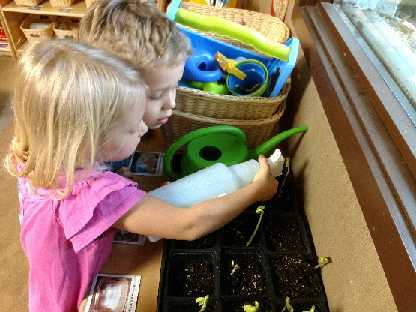 Curriculum alternatives have been provided for gifted and talented students with specific activities to extend basic concepts and allow students to connect their personal interests to the course curriculum. Some of the strategies used are compacting (less time with the regular curriculum and more time with extension an enrichment opportunities), and contracting (written agreements between teachers and students to allow them to engage in the decision-making process and directing their course of study). 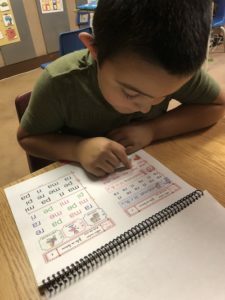 A curriculum that incorporates specific sequential, direct, multi-sensory instruction and approach to lay a strong academics foundation for years to come. What sets us apart is the individual paced program of learning we offer to our students. What make us such a rewarding educational experience is not only the specific curriculum that is taught but how we teach and who teaches it. An accelerated, advanced and balanced International French Curriculum leading to the prestigious International Option of the Baccalaureate. Small class size and low student-teacher ratio enable teachers to incorporate creative learning methodologies that are experiential and “hands-on”. Highly qualified and experienced teachers who understand the needs and development of highly motivated and talented children. Small program size and cross teaching which create an intimate learning atmosphere where student can ever be invisible or “fall through the cracks”.